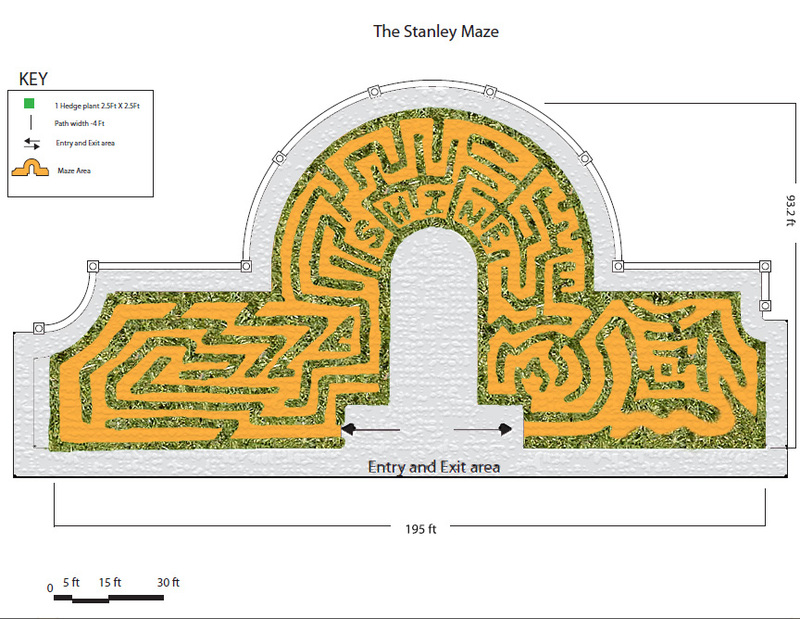 The Stanley Hotel hosted a competition to design a maze for their front courtyard. I submitted an entry, along with 328 other peeps. I don’t think the winning design is much of a “maze”, but I agree it’s prettier than my version (partly by brightening the colors given in the key).